Paul, Barnabas, and Peter helped found the Church in Antioch, and thus the Antiochian Orthodox Church dates its existence to the time of the Apostles. Antioch was an ancient city located near the present border between Turkey and Syria, and it is speculated that the city hosted more than 100,000 citizens near the time of Christ’s birth. The outcome of an "incident at Antioch" was also critical to the development of Christianity. Galatians 2:11-13 describes that important event, which was a debate concerning whether gentiles could convert without adhering to Mosaic laws (e.g., diet, circumcision). A delightful homage to Paul and Peter, and our link to Antioch, is now on display in our new Church as a beautiful stained-glass. Indeed, there are numerous precious panes exhibited throughout the new Church, which were graciously bequeathed to us for safe-keeping by members of Saint Matthias Parish. The principal tenets of Orthodox philosophy are described in the famed Nicene-Constantinopolitan creed: "I believe in one God, the Father Almighty, Maker of heaven and earth, and of all things visible and invisible; And in one Lord, Jesus Christ, the Son of God, the Only-begotten, Begotten of the Father before all ages, Light of Light, True God of True God, Begotten, not made, of one essence with the Father, by Whom all things were made: Who for us men and for our salvation came down from heaven, and was incarnate of the Holy Spirit and the Virgin Mary, and was made man; And was crucified also for us under Pontius Pilate, and suffered and was buried; And the third day He rose again, according to the Scriptures; And ascended into heaven, and sitteth at the right hand of the Father; And He shall come again with glory to judge the living and the dead, Whose kingdom shall have no end. And I believe in the Holy Spirit, the Lord, and Giver of Life, Who proceedeth from the Father, Who with the Father and the Son together is worshipped and glorified, Who spoke by the Prophets; And I believe in One, Holy, Catholic and Apostolic Church. I acknowledge one Baptism for the remission of sins. I look for the Resurrection of the dead, And the Life of the age to come. Amen." Our Church service ("Liturgy") celebrates the joy in the Resurrection of Christ. "That which is hateful to you, do not do to others. That is the whole Torah; the rest is the explanation; go and learn." Historically, considerable tension existed between these faiths owing partly to geopolitics (Roman-Jewish conflict in the Levant), human shortcomings, and naivety. Unfortunately, throughout history countless canonical Jews suffered considerable persecution as a result, which in addition to being a terrible tragedy is rather paradoxical. Matthew 5:17-20 conveys Jesus' sentiments concerning the importance of his Jewish heritage, "Do not think that I have come to abolish the [Mosaic] Law or the Prophets; I have come not to abolish them but to fulfill them. Anyone who ... practices and teaches these commands will be called great in the Kingdom of Heaven." The Christian Bible consists of both the Old and New Testaments, the former being tied to the Jewish Tanakh (which includes the Torah, e.g., Genesis). The divergence between the faiths is largely attributed to the interpretation of Jesus' status post-crucifixion, the relationship between God and Jesus (i.e., the Holy Trinity), and his role as the Messiah. Yet in the 21st century, there is a concerted effort to emphasize the significant commonalities that unite the religions, and attribute the differences to a rich pluralistic society. 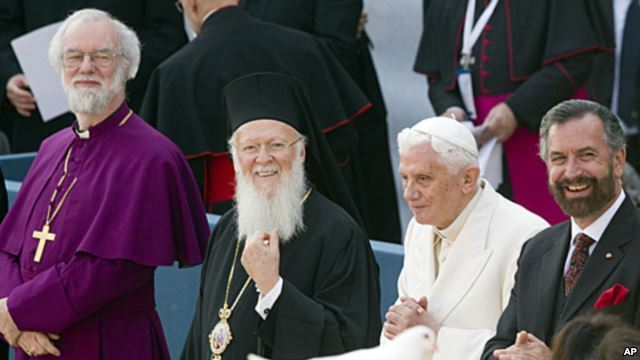 Archbishop of Canterbury (Anglican), Patriarch Bartholomew I (Orthodox), Pope Benedict XVI (Catholic), & Rabbi David Rosen (Judaism). Bishop Dawani & Bishop Schori (Anglican), & the Patriarch of Jerusalem (Orthodox). The source(s) of division between Catholic and Orthodox Christians were partly tied to geopolitics and the shifting balance of power between the West (Rome) and East (Constantinople, modern day Istanbul), and disagreements pertaining to the potential primacy of the Bishop of Rome (i.e., the Pope, Catholic). In other words, is the Bishop of Rome primus inter pares (latin: first among equals). There exists considerable literature on the topic of the Catholic/Orthodox split, and the numerous factors that led to the separation. Yet, recent bold overtures by the Pope and his Orthodox counterparts to transcend those differences have fostered considerable joy. Indeed, a reflection of that effort is apparent in the close bonds that have emerged between St. Antonios and Maronites in Halifax (part of the broader Catholic Church). Fr. Maximos Saikali (St. Antonios, Orthodox), Honorary Consul Wadih Fares (Lady of Lebanon), Archbishop Anthony Mancini (Catholic), Fr. Pierre Azzi (Our Lady of Lebanon, Maronite). 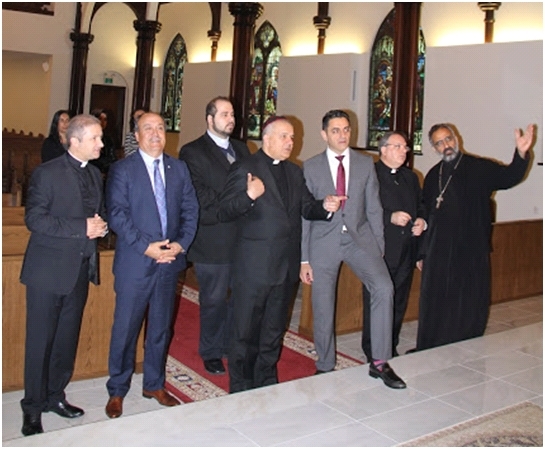 A recent joyous visit by Maronite dignitaries to the new Saint Antonios Church. Maronites are Christians who were inspired by the teachings of Saint Maroun. Their Church also began in Antioch, and Maroun's followers subsequently moved to Lebanon. In 1979, Fr. Kheirallah Aoukar was instructed by the Vatican to establish a Maronite Church in Halifax (Our Lady of Lebanon). In 2006, Fr. 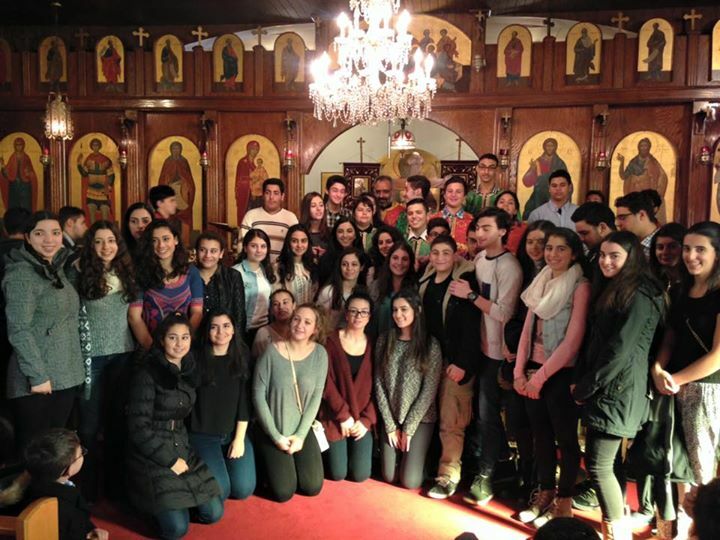 Pierre Azzi came to shepherd Our Lady of Lebanon. There are numerous mixed marriages featuring individuals of both faiths. 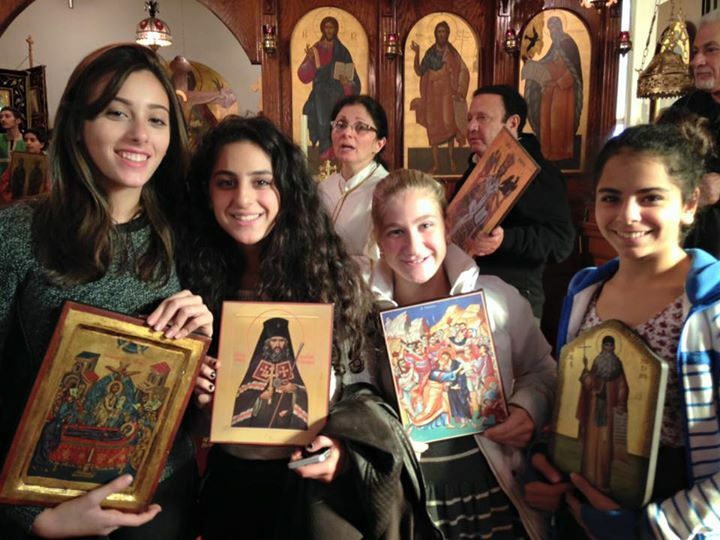 Those bonds convey how separate denominations can prosper as one, and set an example for the broader Orthodox-Catholic establishment to follow.